It is so frustrating when you’re ready to watch a movie, play a game, or install a program, but you can’t because the DVD drive isn’t working. Here is a quick run down of how to get the drive working again. Find the category below that applies to the issue you having with the DVD drive, and follow the suggestions for determining the problem. Hopefully, you will be back on track and leave the frustration behind. Even installing a new DVD drive isn’t that hard. Of course, if you have trouble with a DVD drive, the first thing to try is another DVD. 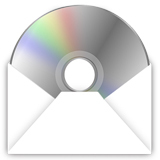 If the problem seems to be with a particular DVD disk, try cleaning it with a soft cloth or a DVD cleaning solution. If the drive doesn’t work for any DVD, then connections for external drives should be checked. For internal drives, check computer cooling fans, filters, and ventilation. DVD drives can sometimes be the most susceptible to heat problems. The most common cause of this DVD problem is an issue with the power connection or power protection. This is particularly true with external drives. In other words, something is unplugged or there is an issue with something like a surge protector. Double check all the power connections. Plug other things into the outlet or outlet strip and see if they work. For internal DVD drives on desktop systems, the adventurous could remove the cover and try connecting a different power plug from the power tray. If the DVD drive starts to work, then there is a problem with the PC’s power supply to the DVD drive. If it doesn’t, then the DVD drive is not powering up. If the DVD drive remains dead and you know it is getting power, then it is probably time to buy a new DVD drive or schedule a repair. If the DVD seems to have power, but the DVD drive door does not open, press the button firmly a few times. If it still doesn’t work, try restarting the computer then opening the DVD drive. If the drive still doesn’t open then right click the DVD drive in the My Computer and select Eject. If that doesn’t work, it is time to resort to the DVD emergency eject. Poke the end of a paper clip into the tiny hole next to the DVD drive eject button. Be prepared to deal with an unseated disk that may be jamming things up or to keep the drive from immediately closing again. Using the emergency eject will also open the DVD drive when the computer power is off. If you loaded a DVD into the drive and it doesn’t seem to reading or loading the DVD, again the first thing to try is restarting the computer. If that doesn’t work, verify the status of the DVD drive. To check the status of the DVD drive, open My Computer, right click the drive and select Properties. The Properties Window will say if the device is working properly. If Windows recognizes a problem with the DVD drive’s hardware or drivers, it will be noted here. Properties can also checked by right clicking the device in the Windows Device Manager (Control Panel – System). The Device Manager will put exclamation marks next to device that are not working properly. Software and configuration issues can usually be solved with proper settings or reinstalling drivers. Drive settings can be added or altered by accessing the BIOS settings during start-up. If you are unsure how to enter BIOS, look for instructions to appear on the monitor during start-up. Don’t take this task lightly. Accidentally or improperly altering other BIOS settings will make matters worse. If all else fails, you can verify connections, particularly on external drives. If the DVD drive never responds, then it may be a failure that requires repair of replacement. If the DVD drive seems to have power, opens and closes, and seems to be working with Windows but still won’t play, then (as described above) the first thing to try is another DVD, and perhaps try the non-working DVD in a different drive. If you haven’t checked the DVD drive device status, follow the instructions in Section 3 to verify Windows is communicating with device properly. Microsoft also has an on-line tool for DVD drives that are not reading or writing to the DVD. 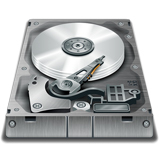 Generally, DVD drives have proven to be a very reliable part of the computer system. Outright failures are somewhat rare, so if you are having trouble with your DVD drive hopefully it is a minor problem that can be resolved by following the above steps.